New Delhi: Good hand hygiene is needed to prevent sepsis, a potentially life-threatening condition which affects over 30 million people globally every year, WHO said today and asked its South East Asian Region member nations, including India, to promote the practice. WHO Regional Director for South-East Asia Dr Poonam Khetrapal Singh said promoting good hand hygiene is one of the most cost-effective ways to enhance the safety and quality of healthcare for all. 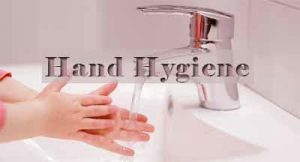 She said good hand hygiene, including among patients and health workers, helps stop spread of infection, control the risk of bacterial mutations and makes healthcare significantly more efficient. “Good hand hygiene is particularly needed to prevent sepsis, a serious and potentially life-threatening condition that can result from the bodys response to infection. “Globally, over 30 million patients are affected by sepsis every year, many of them in low and middle-income countries. Should antimicrobial resistance advance, this number will increase,” Singh said. She asserted that enhanced hand hygiene in healthcare facilities is a pressing need, and is everyones responsibility — from patients and health workers to administrators and policymakers. WHOs South-East Asia Region comprises Bangladesh, Bhutan, Democratic Peoples Republic of Korea, India, Indonesia, Maldives, Myanmar, Nepal, Sri Lanka, Thailand and Timor-Leste. “From patients to health workers, administrators to policymakers, we must appreciate and understand that clean hands save lives and is one of the most powerful ways to prevent infection and sepsis. “Across WHO South-East Asia Region, promoting hand hygiene is imperative we must all prioritize and act on it decisively,” she said. Elaborating on five key areas that demand action, Singh said first, health workers should fully embrace the WHO-recommended five moments for hand hygiene. This five-step formula requires health workers to wash their hands using an alcohol-based product for 20-30 seconds, or soap and water for 40-60 seconds, before touching a patient, before clean or aseptic procedures, after exposure to bodily fluids, after touching a patient, and after touching patients surroundings, she said. “Secondly, facility-based infection prevention and control leaders should seize every opportunity to champion the importance of good hand hygiene. “That can, and should, include communicating the critical importance of implementing WHO guidelines on hand hygiene to policymakers, hospital chief executive officers, administrators and health workers,” the WHO Regional Director for South-East Asia said. Explaining the third point, she said health facility leaders and senior management should make hand hygiene a key quality monitoring indicator. “Compliance with hand hygiene standards should be a core part of every health facilitys infection control regimen, with areas of risk identified and solutions found as a matter of priority. “As part of this, they should also sign up to WHOs global Save Lives: Clean Your Hands campaign, which all health facilities can be a part of,” she said. Singh said ministries of health from across the region should implement the 2017 World Health Assembly resolution on sepsis, which makes improving the prevention, diagnosis and management of sepsis a critical imperative. As the resolution outlines, one of the best ways to tackle the problem is good hand hygiene and the development of clear, country-wide guidelines on the issue, she said. Singh said patient advocacy groups should continue to insist on the value of hand hygiene as a good in itself, as well as a way to drive down the occurrence of sepsis. “That means advocating for the development and implementation of effective hand hygiene-related policies, as well as good hand hygiene practices among health workers,” she said.